Did you know that approximately 1 out of every 6 children struggle with sensory-based learning issues? If you have a class of 30 students, that means there could be as many as 5 KIDS IN YOUR CLASS who are not engaged, not focused and not keeping up with the rest of the class group because the sensory demands of the classroom affect them. You probably know which ones they are. They fidget, they’re distracted, they can’t focus on simple instructions, right? They disrupt the whole class and take you away from the task of teaching. Could your students benefit from some simple classroom transformation strategies? At Life Skills 4 Kids, we’re passionate about empowering teachers AND students. 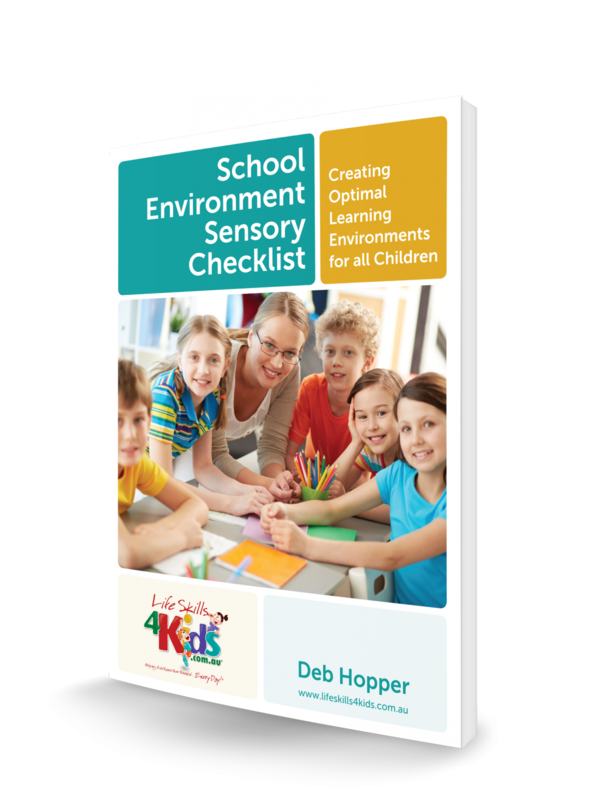 If you have children in your class with autism, learning difficulties or reduced concentration, then the School Environment Sensory Checklist is your key to unlocking environmental factors that impact on your students and their learning space. Included in this handbook is a five-page checklist that will guide you, through a series of detailed questions about your current learning environment, to a safer, more inclusive classroom that encourages participation and facilitates learning. 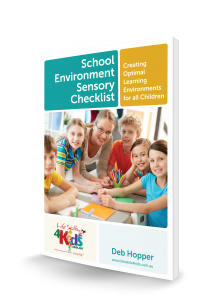 With this checklist, you can quickly evaluate your classroom from a sensory perspective. 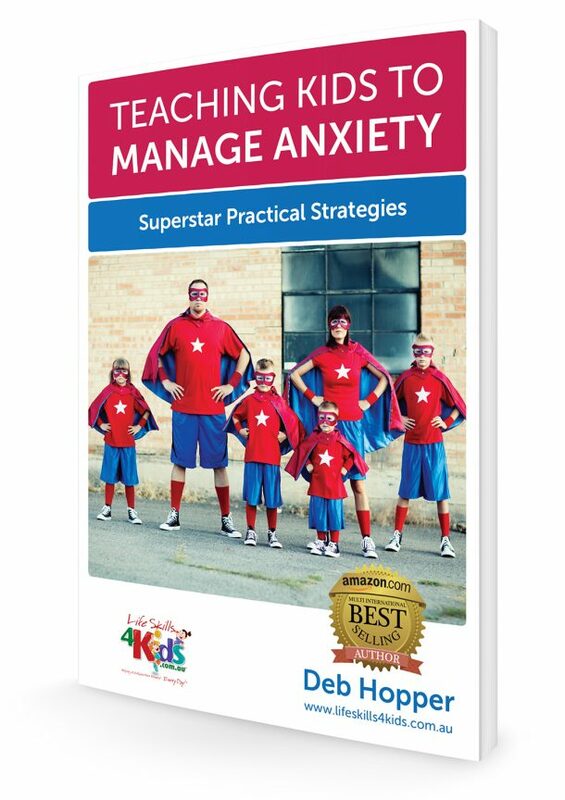 “This is an excellent resource for all teachers, parents and carers… in fact anyone who associates with children. Children have immensely varying needs to perform at their best, and Deb Hopper’s detailed checklist and resources have helped us (and others) to tailor our classroom environments and practices to engage our students in ways that enhance their learning. A must read!! 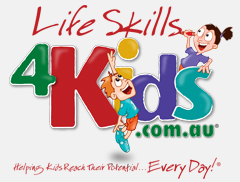 “An outstanding resource developed by Deb Hopper and her team at Life Skills 4 Kids. It provides detailed information about sensory processing and how different sensory inputs may affect a child’s learning in a classroom environment. Simple strategies are provided to help teachers make accommodations to improve students learning. The resources suggested are easily obtainable and reasonably priced. The five-page teacher checklist is clearly laid out and easy for teachers to fill in to help identify the needs of their students. Start improving the school landscape for ALL your students today.